Vencomatic North America – Pols Enterprises ltd. Maximize your production with Vencomatic North America. Our products work with your birds’ natural behavior to ensure the best results. In addition, our solutions improve the working environment in both the barn and the egg collection room. Providing flexible nest and rearing systems that perfectly match the needs of birds, Vencomatic aviaries are renowned for their durable construction and optimal performance. We have taken our decades of experience handling valuable breeder eggs and applied it to the commercial egg industry. 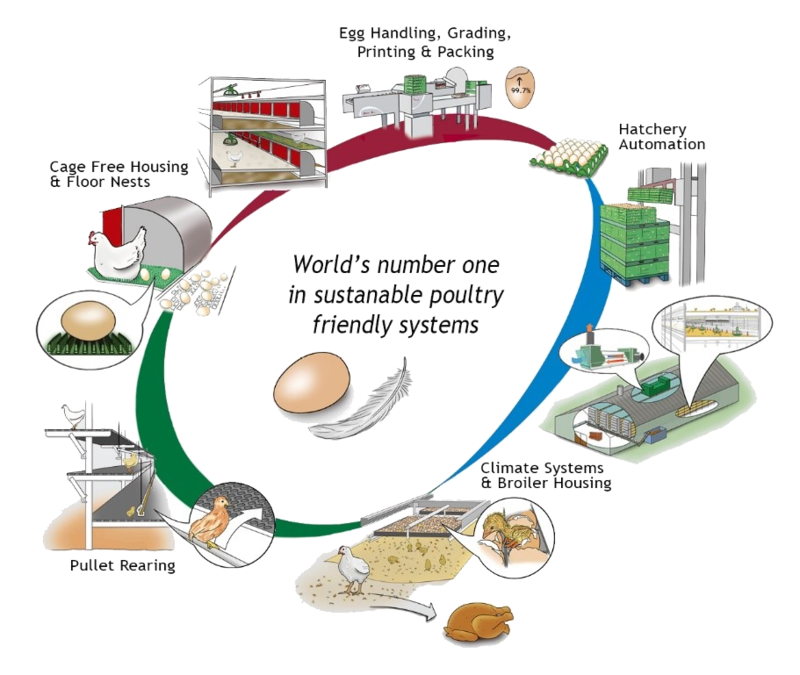 As a result, from the egg belt to the tray to the grader, our egg handling equipment treats your eggs with the greatest of care. Our climate control systems reduce energy consumption by recovering heat. This reduces both your carbon footprint and operating costs. Providing an optimal climate helps you to achieve the best performance from birds and employees alike. Featuring ALIS (Agricultural Lighting Induction Systems), LED bulbs, and lighting control systems, Davian has years of experience in innovative lighting solutions for your poultry and swine barns.